Yahoo Mail Go App one of the Best Lightweight App for Android Go Smartphones. Yahoo launched its Yahoo Mail Go App in June this year which is small in size but big in features. Optimized for the new Android Go devices, Yahoo Mail Go app has the same speed and reliability and is lighter on your data. 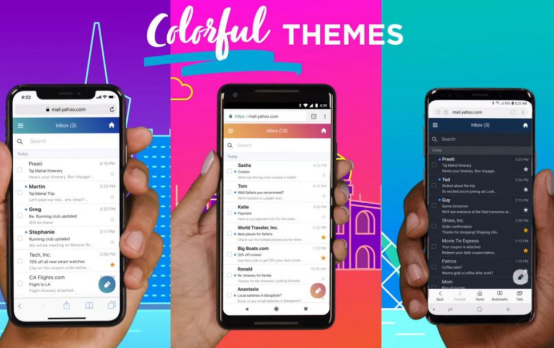 The Yahoo Mail Go app delivers the stunning features which are currently enjoyed by the Android app users, while keeping the RAM usage on devices below 50MB and the install size below 10MB. So basically, retaining all the core Android mail features, the app allows its Go users to not miss out on anything,. Other Android Go apps available in the market, include Maps Go, YouTube Go, Google Go, Gmail Go, Files Go and Assistant Go, among others, for the users.